I spent last week driving from Vancouver BC to Yellowknife NT with my boyfriend who is taking a journalism post up there. Yellowknife is COLD. Like -40 degrees cold. 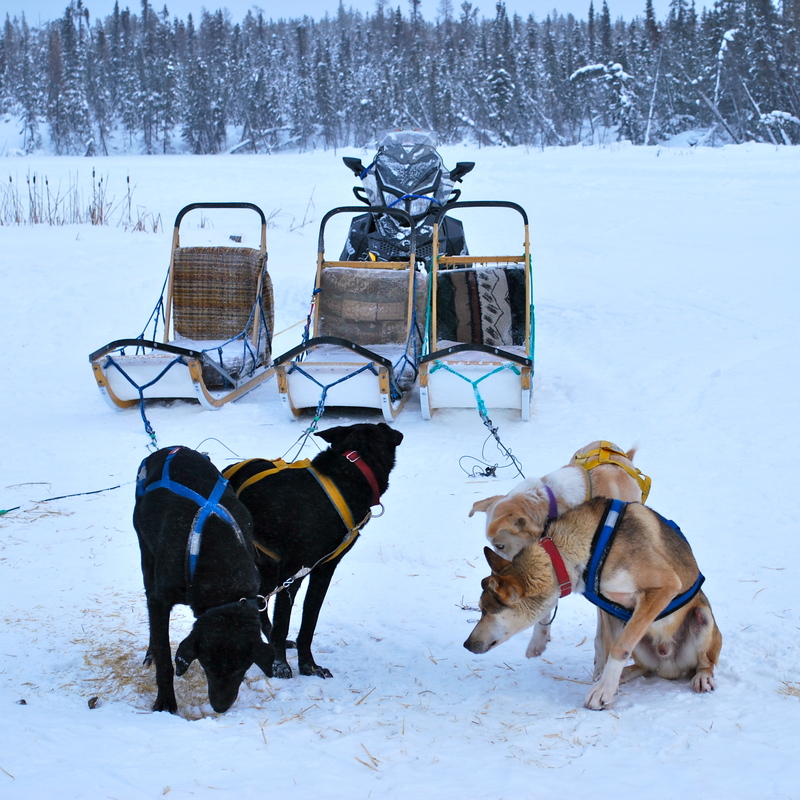 That didn’t stop us from fulfilling a longtime dream of mine by doing some authentic dogsledding. We went to Beck’s Kennels for our ride and had a fantastic time. There must have been about a hundred dogs there, all alaskan huskies which are purported to be a mix of husky, greyhound and some pointer. 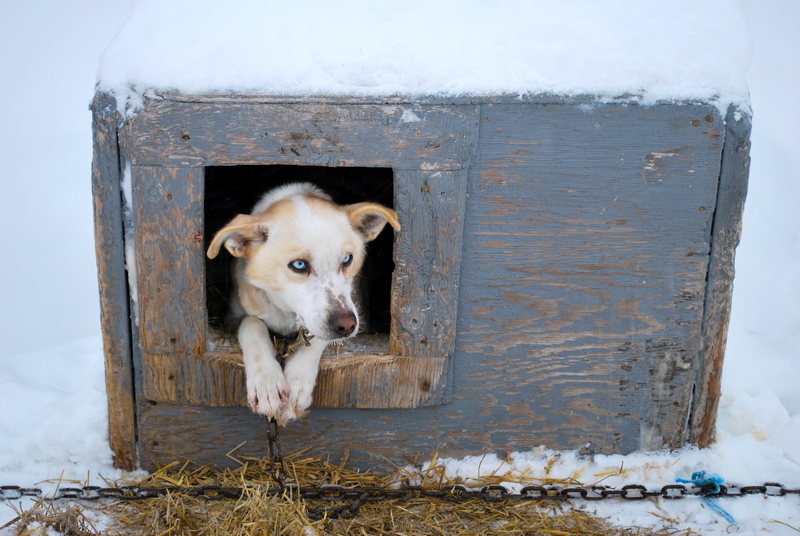 I was surprised that these slight-framed canines could survive outside in such extreme temperatures with only an insulated kennel lined with straw and a high calorie diet. We were some of the only white people there, with the majority of sledders being Japanese tourists. Apparently the Japanese are big fans of the northern lights. Back home I use my dogs to pull my bike and they know all their mushing commands, but up here the dogs know the way and you just hold on tight. My boyfriend and I kept commenting on how happy my wolf-mix would be as a sled dog. He loves the snow, pulls tirelessly and is numb to all pain. Almost makes me wish our winters here were snowier so I could put him in front of a real sled or some skis and watch him go. 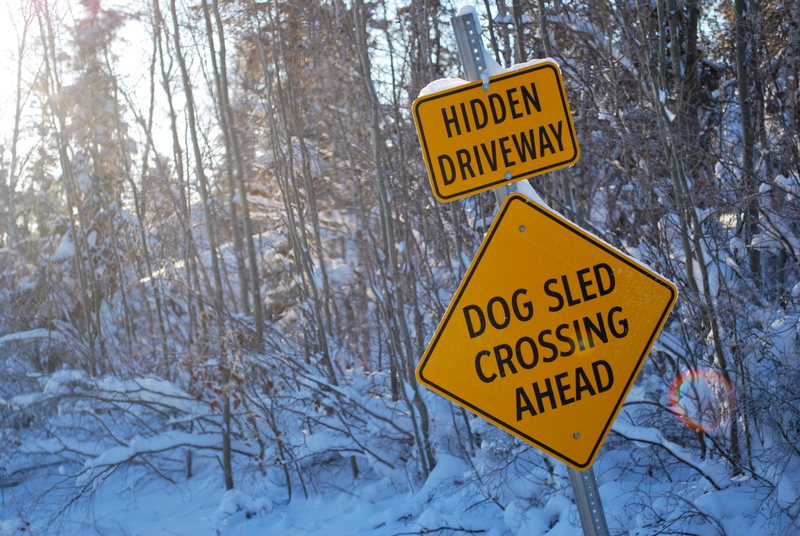 This entry was posted in dogs and tagged beck's kennels, dog sledding, northwest territories, yellowknife. Bookmark the permalink.